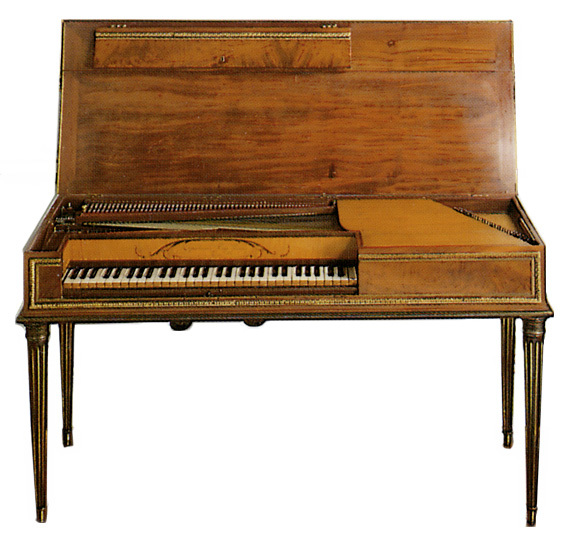 Home » News Story » The Search for Napoleon’s ‘Persian’ piano. January 18, 2017 February 21, 2017 No Comments on The Search for Napoleon’s ‘Persian’ piano. The Tehran Times has reported that a Dutch jazz pianist is searching for a piano once gifted to a Persian king by Napoleon Bonaparte. The piano, the first to ever arrive in Persia, was presented in 1806. Rembrandt Frerichs, who is performing with his trio at the Fajr International Music Fair, is trying to locate this instrument. He believes it may be tucked away in a small local museum somewhere in Iran. The Encyclopaedia Iranica states that Napoleon gave Qajar king Fatḥ ʿAli Shah a five octave [square] piano. Few would have used the piano. It would have been completely out of tune on its arrival. In addition, Persian traditional music doesn’t lend itself to the piano’s fixed pitches and polyphonic textures. Nevertheless, by the end of the nineteenth century, the country imported an increasing number of pianos. Pianos were extremely popular in France in the late 1700s, but during the French Revolution, a large number were destroyed. The piano shown is a five octave square piano. Sébastien Erard built the piano in 1787, and King Louis XVI gave it to Marie Antoinette that same year. It is interesting to note that Napoleon subsequently considered a piano to be a worthy gift. Fatḥ ʿAli Shah and Napoleon formed an alliance against Russia and Great Britain between 1807 and 1809. There is no news, as yet, as to the fate of “the Persian Piano”.